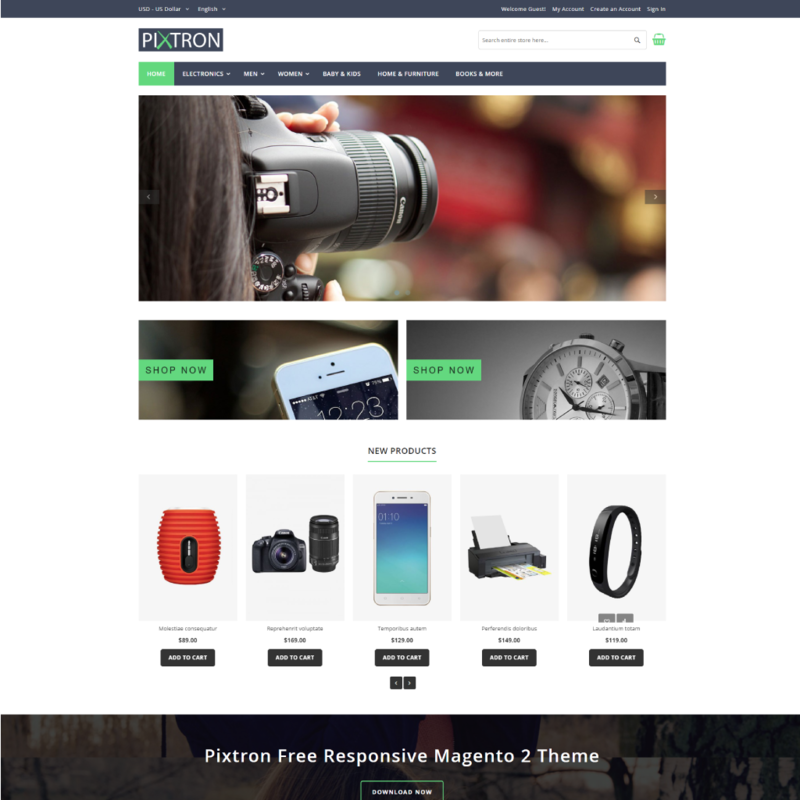 At the publication of this post (06/28/2018), there are dozens of free Magento 2 free themes on the internet. Many of them crash and burn without any care from their makers, namely Database error, not updated to the current version of Magento, Captcha download error or anything you can think of. However, we still believe in the sweetness of free things on the Internet. So this post lists all of the active Magento 2 free themes till the publication of this post. "Active" means we can see the demo functions correctly, and the theme can be downloaded for deployment or deployed directly on a cloud hostings. 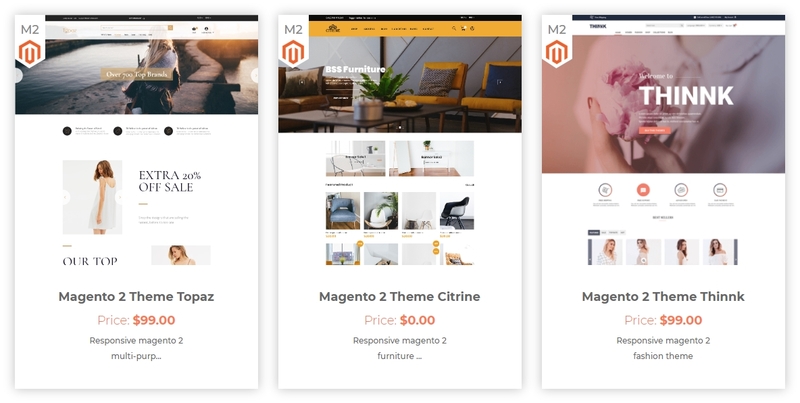 You can benefit from this post if you are a starter or low-budgeted Magento 2 store owner, or a starter Magento 2 front-end developer. Store owners can save time and money by choosing the themes that best suits their design, with the suitable compatibility and features, and easy installation and configuration. Our comment: Clean theme with slow and elegant animation. Although the font choice of the design conveys youth and feminity due to its light weight, the font somehow lacks emphasis, and can be monotone with over-usage. Check out is fast with AJAX Add to cart. 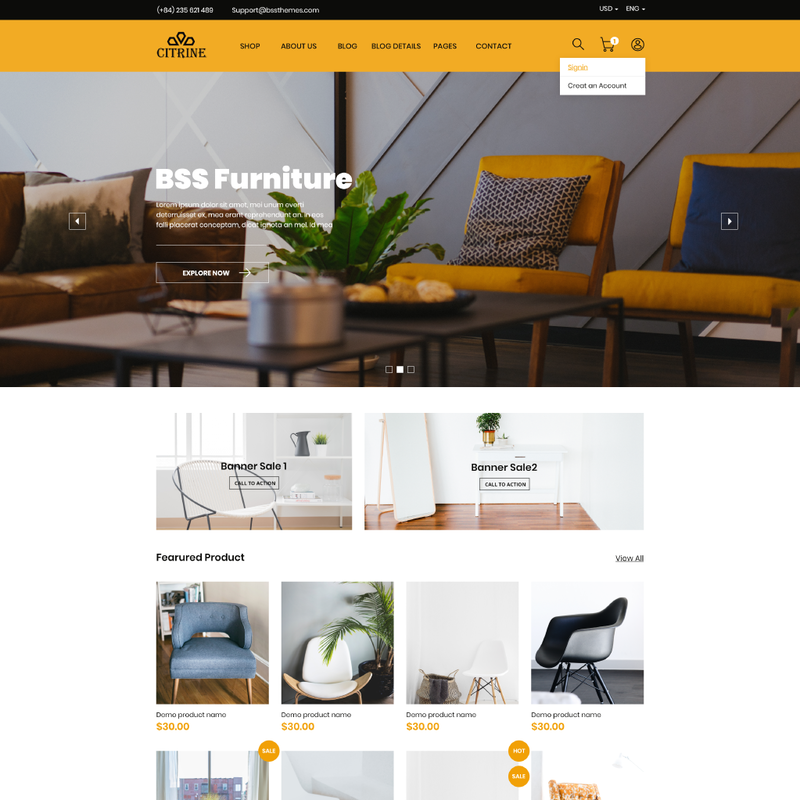 Our comment: Beautiful theme with a great deal of configurability. It has good documentation, mobile-first design and a modern iconset for free. 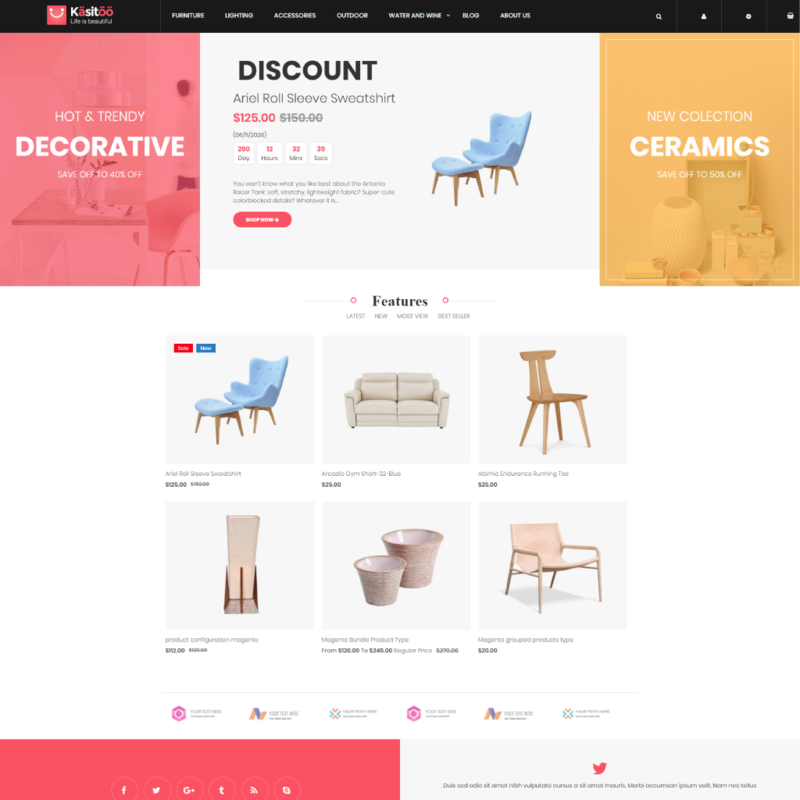 The design creates a solid feeling that makes this theme suitable for furniture brands. Our comment: Good design with some animation. Looks good on mobile with off-canvas menu. Basic font that can be added with more depth. Our comment: Very old-style design with good functionality. Very friendly admin UX with theme editor. Also very good in terms of pagespeed. Our comment: The overall design is beautiful with nice color palette. The animation is nice and slow. However, it still has small bug in the buying process (cart page is not accessible). 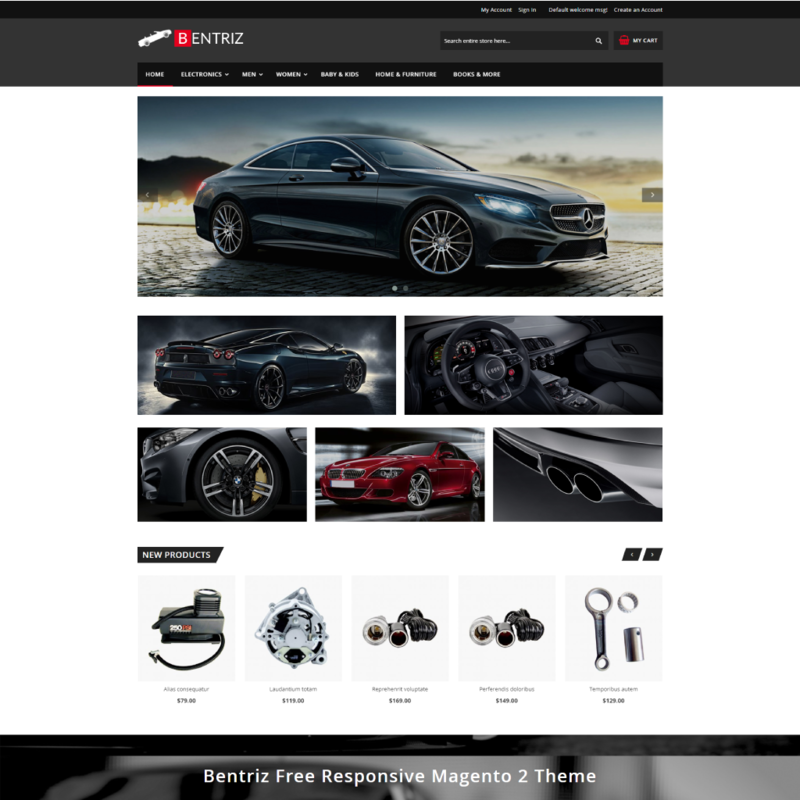 Our comment: Impressive design with high contrast and negative color choice for header and footer. Diverse in hover animation. Flat and modern design. 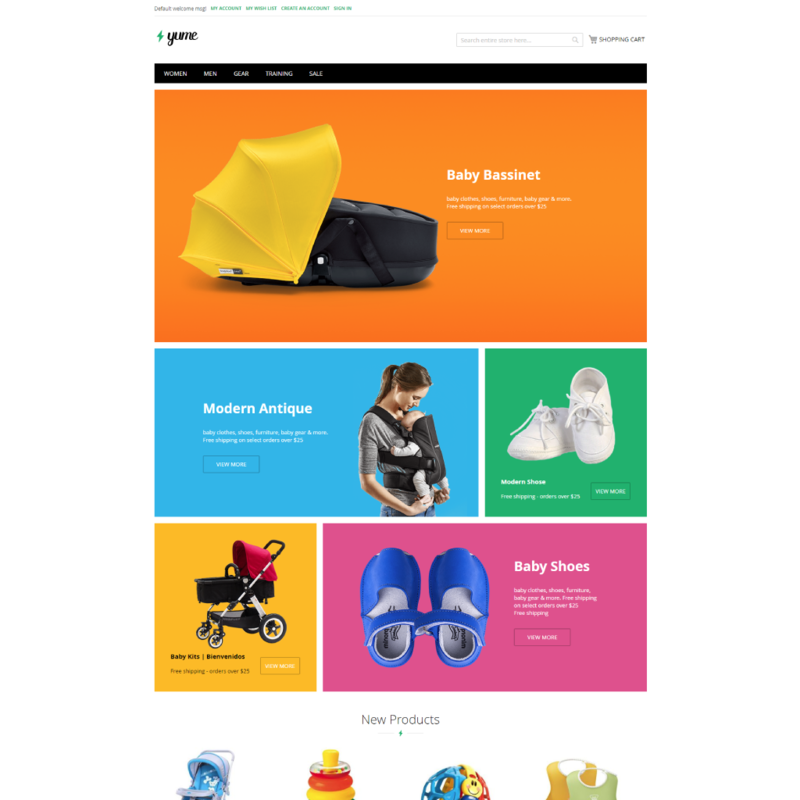 Has small bug in terms of hover on products on homepage. Our comment: Modern and strong design that creates a sense of strength and solidity. Color usage is hot and impressive. Our comment: Has good product filter. Megamenu makes promoting product easier. Has bug after adding products to cart, that changes to other product's image. Our comment: The design is clean with few sections. Lacks sophistication. Checkout user experience is fast. 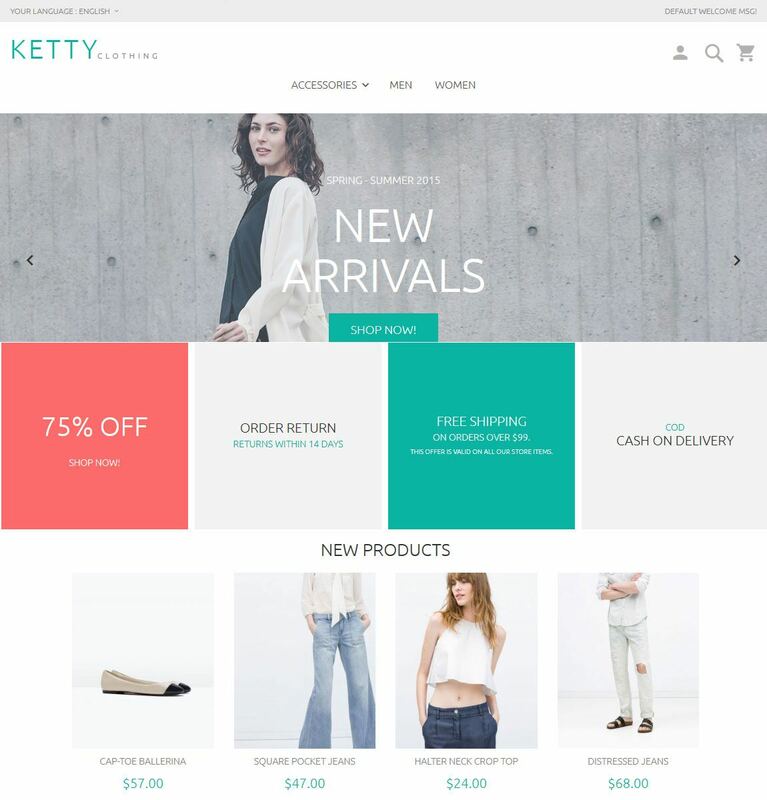 Our comment: Beautiful full-width theme with fast adding to cart. Looks good on mobile with off-canvas menu. Our comment: The overall design is great, however it can be improved by containing a little less text in homepage. Great product quickview function in cateogry page. Our comment: The design is mediocre. 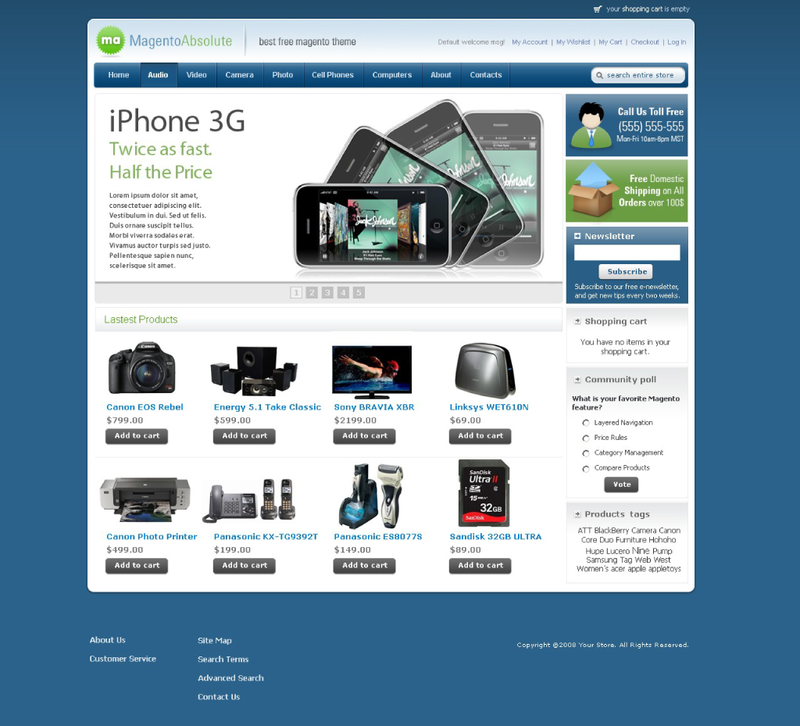 The product image in category page is not clickable, making category's UX drop. Our comment: Unconventional full-width design with right-column sticky menu bar. The usability of this menu bar, therefore might be questionable. Popup menu is impressive. Our comment: Exquisite design with a lot of blank spaces.This creates a sense of relaxation, and give a clear understanding of the content of the site. 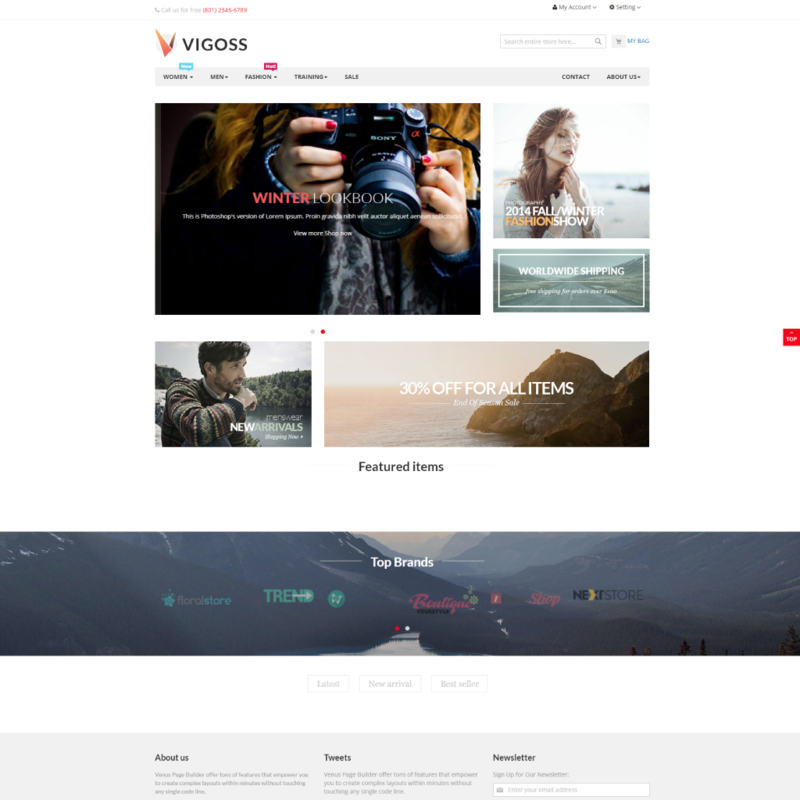 Smooth mega menu and banner slider included. 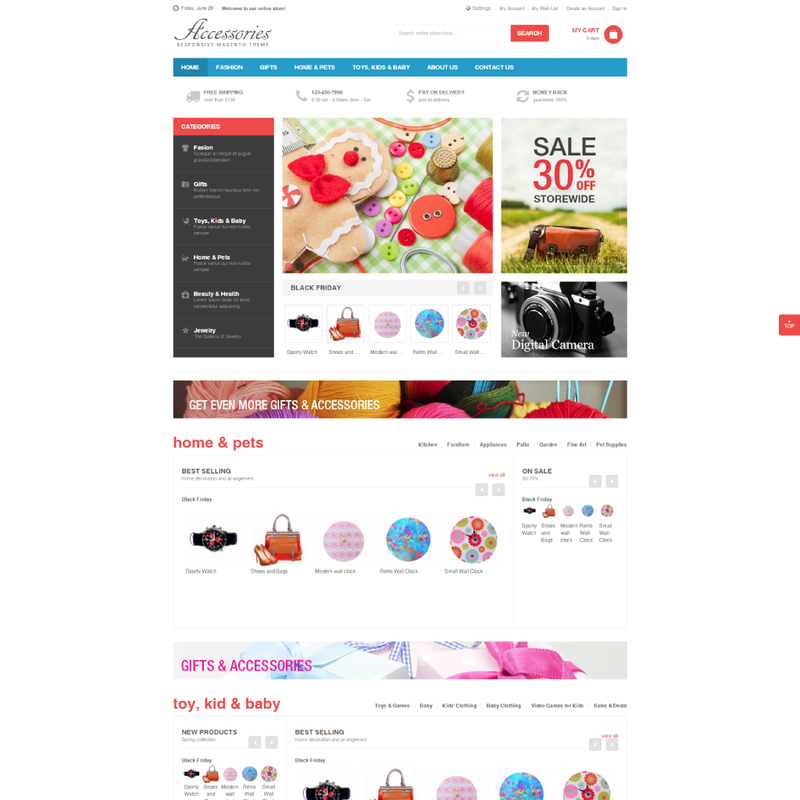 Our comment: Minimalist design that embraces the use of round square block with large icon and text in image. Easy-to-use product quickview function and. Our comment: Design lacks blank space making things messy. Too many colors used. So that's a list of Magento 2 free themes. 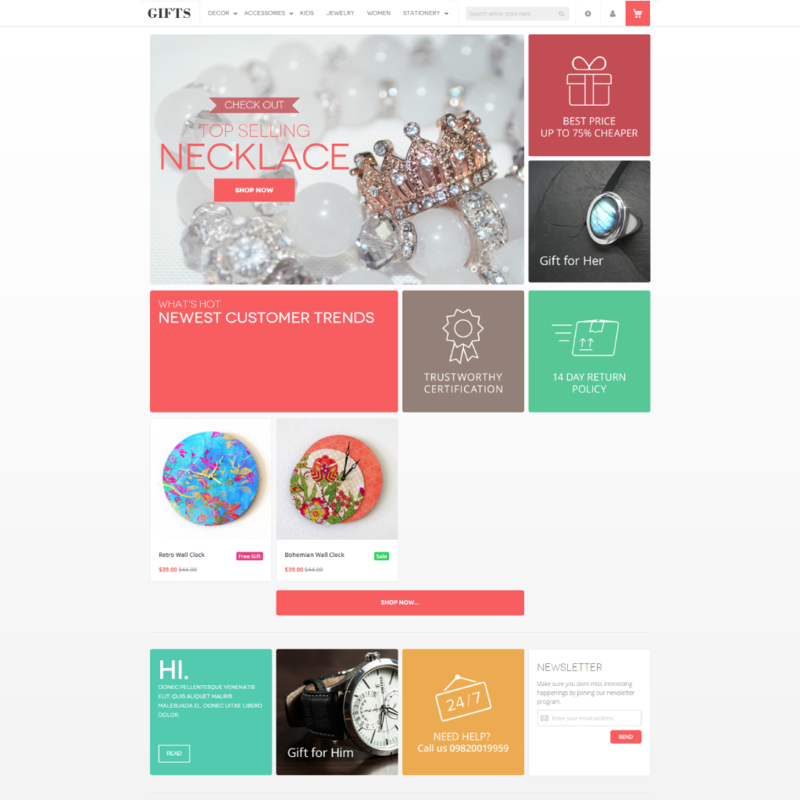 We hope that you would have a great time browsing all these active themes and choose the best theme that suits your need. 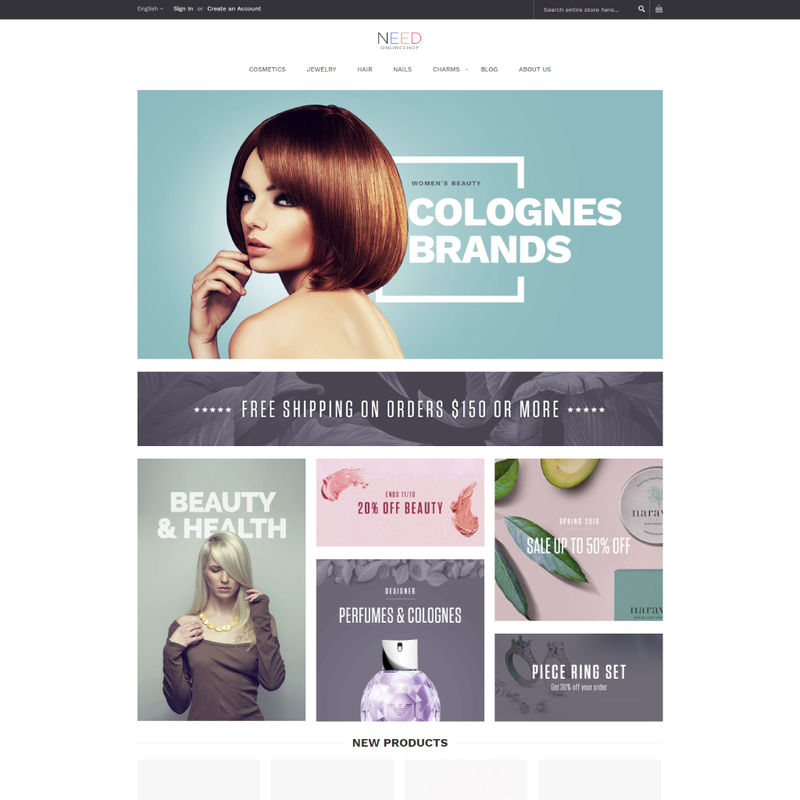 Do you have any question regarding Magento 2 free themes? Let us know in the comment section below. 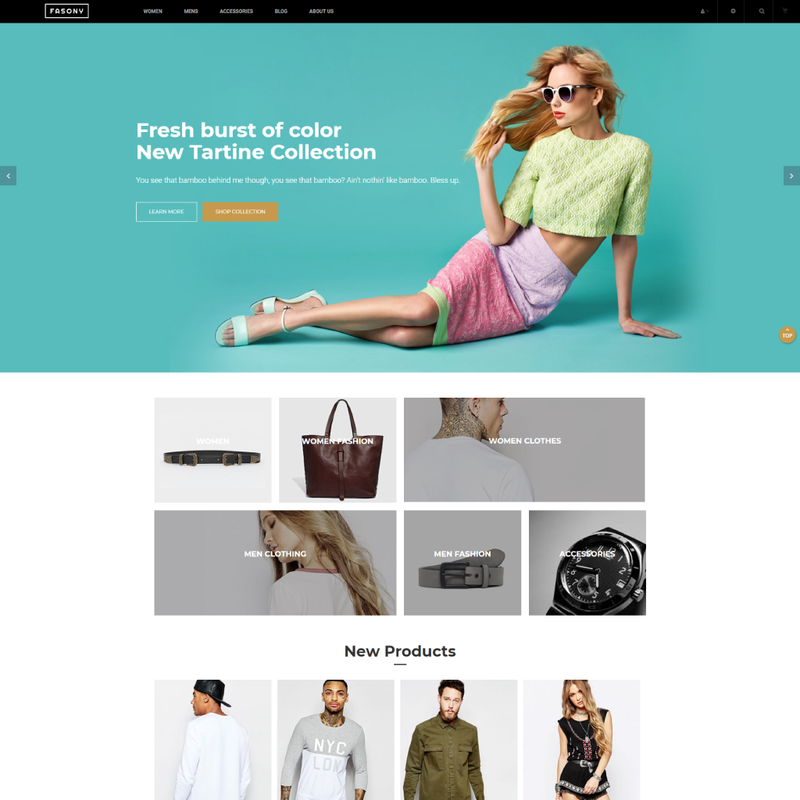 If you wish to upgrade to premium themes with the strongest feature and absolutely stunning design, you can browse our themes from below.